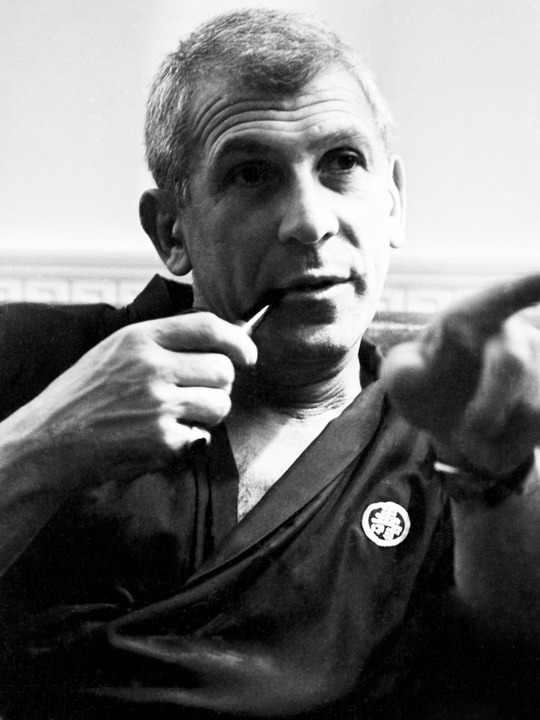 If Richard Brooks were alive today, he’d be exactly 100 years old; he died of heart failure in 1992. But the rarely compromising, notoriously angry writer/director (who brought us films as varied in scope, mood and locale as “Cat on a Hot Tin Roof,” “In Cold Blood,” “Lord Jim,” “The Professionals” and “Blackboard Jungle”) would likely still be making ambitious pictures his own way, accepting little interference from either the studio or the cast. After all, as noted in Associated Press columnist Douglass K. Daniel’s excellent 2011 biography, “Tough as Nails: The Life and Films of Richard Brooks,” even old age and a busted hip couldn’t soften Brooks’ unorthodox approach to actors on his final film, the botched 1985 morality tale “Fever Pitch”; he reportedly smacked actor Patrick Cassidy across the face to get him to cry. Yet after all that, I found most of Brooks’ films to be more ambitious than great. Plenty of them are beautiful to look at and diligently detailed, but just as often, Brooks tends to overemphasize simplistic themes. The moral of most of these films can be summed up in one sentence. Urban single women are victims of male violence (“Looking for Mr. Goodbar”). Bored housewives have it rough (“The Happy Ending”). Animals should be treated with respect (“Bite the Bullet”). Given that they were made by someone so infamously vitriolic and blunt on set (his first words to actor Stewart Granger, star of his second film, “The Light Touch,” were, “Cary Grant was my first choice”), most of Brooks’ films come off as too level-headed to really shatter the soul. I am not saying, of course, that the majority of his films are bad. I admired some of the sexual forwardness, daring for its time, inserted into “Elmer Gantry” (for which he won Best Screenplay, his only Oscar), not to mention Burt Lancaster’s jocular performance, but with today’s money-obsessed, often bigoted religious hucksters, the comparatively good-hearted title character comes off a little tame. “In Cold Blood” is still chilling 40 years later, mainly because it forces the audience to imagine the central murder, which is left mostly off-camera, but I found it a bit stiff and slow-moving. The noirish films that Brooks wrote during the 1940s (“Key Largo,” in particular) are solid, sometimes gripping, but tend to be on the claustrophobic side (staged in one town, or one house, or often just one room). But there is one recurring pattern I notice, in Brooks’ directorial efforts, that is always wrenching, no matter how good or bad the film itself, and that is the theme of male impotence. I’m talking about Paul Newman’s wife-hating, alcoholic cripple in “Cat on a Hot Tin Roof” (in the Tennessee Williams play, the character was secretly homosexual; Brooks could not win all battles against the censors). -Newman, again, in another Tennessee Williams adaptation, “Sweet Bird of Youth,” as a self-hating flunky for a drug-abusing actress (Geraldine Page), who keeps breaking promises to put him in the movies. -Van Johnson, as the failed writer in “The Last Time I Saw Paris,” who lets his self-loathing destroy his marriage to Elizabeth Taylor. -Stewart Granger’s kindly, well-dressed buffalo hunter in “The Last Hunt,” who is picked on by the rougher hunters for his lack of bloodthirstiness. -The sad-faced Glenn Ford in “Blackboard Jungle,” whose wife has miscarried and who can’t get any respect from this thuggish students. -Bonar Colleano, in the otherwise mundane “Flame and the Flesh,” as the composer in love with the sultry Lana Turner, who instead lusts after his music partner, the studly singer Carlos Thompson. -Peter O’Toole, in the first, significantly better half of “Lord Jim,” feeling emasculated and soulless after betraying his crew during a storm. 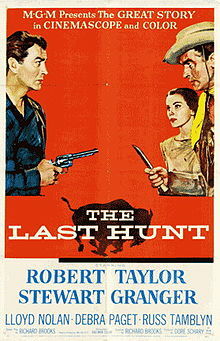 I will start with my absolute favorite of all of Brooks’ films (or maybe a close second to “Cat on a Hot Tin Roof”), “The Last Hunt” (1956), and then go over the non-Netflix films in chronological order. Robert Taylor was put off by Brooks’ constant swearing. Brooks even caused then-unknown Anne Bancroft a serious injury; he insisted she appear in a dangerous horseback shot and her spine hit the hard part of the saddle–she was later replaced. Of all the Brooks films I watched, “The Last Hunt” is the only one where I could feel his tough, growling, show-no-mercy determination suffusing every shot. Though he wanted Gregory Peck and Montgomery Clift to play, respectively, the buffalo hunter with scruples and the buffalo hunter sorely lacking scruples, I can’t think of any better actors for these roles than Stewart Granger and Robert Taylor. Granger is British and soft-eyed and well-groomed and his face seethes with self-disgust as he reluctantly preys on buffalo; Taylor, unkempt and evil-eyed and grinning maliciously, is a spitting, snarling, remorseless marvel. The drama is simple: Taylor is vicious, his companions–Granger, a half-breed teenager (Russ Tamblyn, who later played the crazy, multi-colored sunglasses-wearing doctor on “Twin Peaks”) and a one-legged buffalo skinner (Lloyd Nolan)–are morally sound. But Taylor is so aptly menacing–he not only bullies people for money, he also demands that they befriend him–that the film triumphs in spite of the slight material. When an Indian family steals Taylor’s mules, he kills them mercilessly; then he lusts after the surviving wife (Debra Paget) and scoffs at everyone’s wishes that he not kill the majestic white buffalo, sacred to the Indians, to profit off the hide. There’s a gripping scene where Granger stumbles into a town of ruffians, who laugh at his fancy-lad features, and is pushed to fistfighting and whoring, despite his gentlemanly ways. This was a western that dared, in 1956, to underscore the savagery of white people towards Indians and animals alike; sadly, it was overshadowed by the release that same year of “The Searchers,” with John Wayne, which explored the same theme. It’s a must-see and, while available on DVD, is not yet on Netflix. 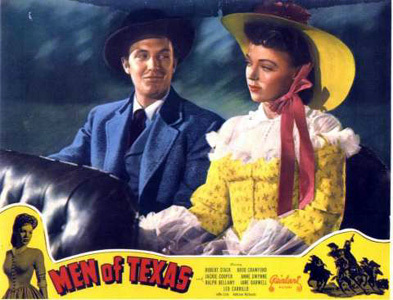 There’s really not much to say about “Men of Texas” (1942), the first feature that Brooks wrote, except that it’s fun to look back at an era when it required a train and a three-day buggy ride to get from New York to Texas. A reporter (Robert Stack) does this, and he’s assigned to cover the life of Sam Houston, a few years after his death and the end of the Civil War. Instead, he winds up taken hostage by a bank robber (Broderick Crawford) who insists that Stack paint him as a hero. Directed by Ray Enright, this one is dull, preachy and simple-minded, but if you must see it, a decent quality DVD rip (probably from television) is available at Robert’s Hard-to-Find Videos. 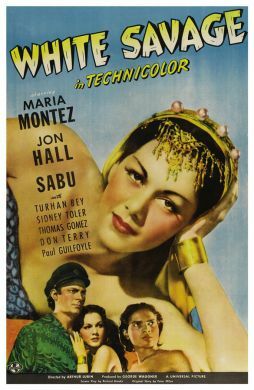 The two Jon Hall-Maria Montez-Sabu island adventures that Brooks scripted–“White Savage” (1943) and “Cobra Woman” (1944)–could not be less Brooksian in tone or execution. They are bright-colored, light-hearted and phony as fake vomit. In “White Savage” (which Daniel nicely lent me), Hall plays a shark hunter, who, with the help of the diminutive island boy Sabu, tries to woo a South Seas island princess (Montez) into letting him fish on her island. He also protects her from an evil gold prospector that wants to marry her. There’s plenty of humor derived from Sabu being flogged and humiliated, which these days is just plain racist but might have been a laugh riot back in 1943. In “Cobra Woman” (which I caught most of on YouTube), Hall and Sabu rescue Montez from her evil twin sister, who rules over an island with her witchy, cobra-dancing rituals. Both of these are worth skipping. 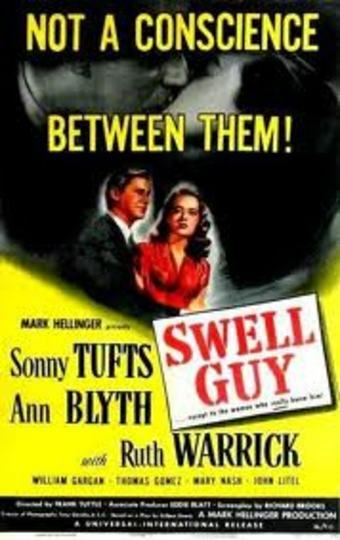 “Swell Guy” (1946) takes a noble premise–a war correspondent returns home, is designated a hero, but is actually a gambling, cheating, girl-stealing scoundrel–and shrouds it in blandness. Tepidly written and acted, it’s most memorable for the plot device of the character’s mother being the sole person who sees through his lies and disowns him; in fact, she wants him dead. The scenes between the title character (Sonny Tufts) and his mother (Mary Nash) are engrossing, but everything else is rather lukewarm, including the would-be tragic ending. As Bosley Crowther wrote in his New York Times review, “there is precious little in this story to attract any serious concern.” I ordered this one off iOffer. 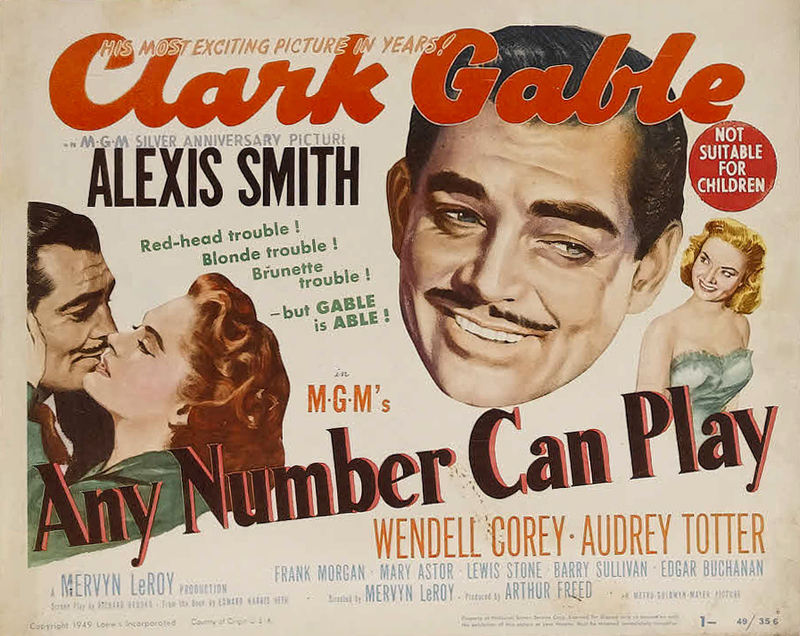 According to “Tough as Nails,” Brooks was not allowed to direct “Any Number Can Play” (1949) because MGM feared Clark Gable’s star power would overwhelm him on his first feature. Ironically, he was also barred from directing “Mystery Street” a year later because the star, Ricardo Montalban, was an unknown, and the studio didn’t want to match up two unknowns. Nonetheless, Brooks was allowed on set by “Any Number’s” director, Mervyn LeRoy, and he was not shy about interjecting. In commanding the actor Mickey Knox on how to disarm a gunman, he threw Knox to the floor three times, resulting in a serious nosebleed. Unfortunately, none of that anger or passion seeps into “Any Number Can Play.” It’s a decent but cluttered drama, with Clark Gable as a beloved casino owner who, in one night, finds out he has a life-threatening disease (made worse by stress), resists the temptations of several would-be mistresses, foils his sneaky, debt-ridden brother’s plan to clean the casino out of millions and mends relations with his resentful teenage son. It’s well-acted and well-paced but rather contrived. I rented this from Video Room. Brooks’ 1950 directorial debut may never have come to pass if not for the support from Cary Grant, who enjoyed his screenplay (originally titled “Ferguson”) and wanted a break from romantic comedies. 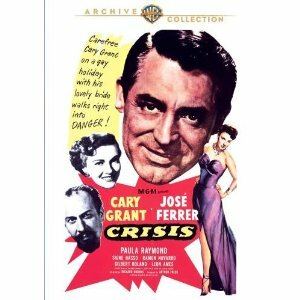 Grant plays a doctor traveling through Latin America with his wife; he’s kidnapped by Jose Ferrer, a dictator (who, according to Daniel’s book, Brooks based on Juan Perón ) and forced to operate on his life-threatening illness. If he fails to save the dictactor’s life, he dies; if he saves the dictator’s life, he also dies, at the hands of Ferrer’s rivals in the National Army. The dialogue is certainly on the wooden side. The exchange between Grant and his wife, Paula Raymond, when they are abducted, is as follows: Raymond: “Maybe they think we’re spies, revolutionaries.” Grant: “That’s silly.” Raymond: “Maybe we’re being kidnapped.” Grant: “Not so silly.” But as noted above, I enjoyed Ferrer’s performance, and how he lends sympathy to what could have been a one-note role; the dictator is impotent and weak, his firing aim diminished, and he suffers for it. I also thought the various rioting scenes were nerve-racking (despite Bosley Crowther’s assertion that they have “a slick, artificial look”) and loved the flamenco score by Miklós Rózsa. Though it’s certainly not one of Brooks’ best, it’s a compelling debut and worthy of inclusion on Netflix; as of right now, DVDs can be purchased on Amazon. 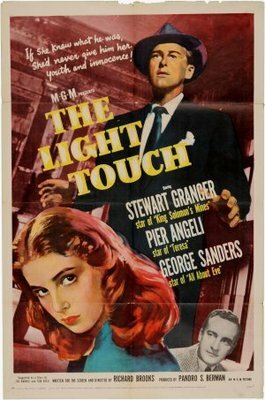 Brooks’ second film as director, “The Light Touch” (1952), is more serious and convoluted than it ought to be, given its lightweight plot. Stewart Granger plays an art thief who steals a Renaissance painting from a church, lies to the art dealer he’s contracted to sell the painting to that it was destroyed in a fire, then commissions the lovely Pier Angeli to paint a duplicate. This could have been a boisterous romp, with its double-crosses and one-upmanships, but it’s mostly a soggy romance between Angeli and Granger, as she slowly teaches him morals. The scenery, however, is dazzling–the film was shot on location in Tunis and Sicily. Interesting tidbit from Daniel’s book: Granger–whose ex-wife, Jean Simmons, later married Brooks–took an immediate dislike to the gruff director that never subsided. 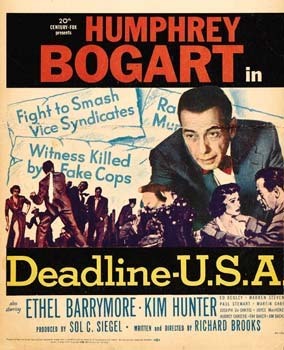 My third-favorite Brooks film (after “Last Hunt” and “Cat on a Hot Tin Roof”) is probably his third film, “Deadline-USA” (1952), if nothing else because Brooks’ love of journalism is palpable. It’s also timely to watch right now, given the current miserable status of print journalism (check out my friends’ upcoming documentary, “Fit to Print,” about this very subject, here). And though the plot is partially reminiscent of “His Girl Friday” (tough but fair newspaper editor tries to get ex-wife back from wimpy tycoon), it’s impossible not to root for the underdogs of The Day, led by Humphrey Bogart. “It’s not enough to give ’em the news,” Bogart says to his dejected, drunken staff at a “wake” reception for the dying paper. 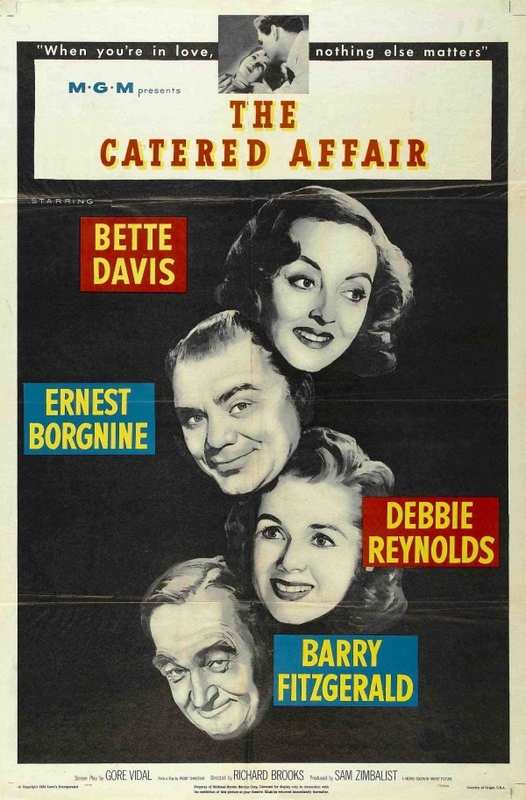 “They want puzzles, horoscopes, cake recipes.” Throughout the rest of the film, Bogie tries to dissuade the surviving members of the owning family from selling the paper to its rival, The Standard; woos his ex-wife; and dodges threats from a mafioso leaning on the paper to back off a murder story. There’s even an innovative murder scene here, when a stool pigeon is bumped off on a printing press. “Deadline-USA” deserved the critical praise it got for its authentic depiction of the press, and it should be released on Netflix. I watched this one on Amazon Instant. “Take the High Ground!” and “Battle Circus,” both released in 1953, are the ultimate “gun for hire” pictures. They are studio assignments, not movies. In the wake of the Korean War, Hollywood wanted more war pictures, so Brooks made them. And both movies are about as passionate as that sentence. 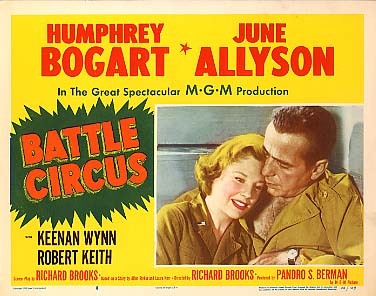 In “Battle Circus,” an army surgeon (Humphrey Bogart) romances a nurse (June Allyson) amidst gunfire in Korea. That’s about it. They flirt, they kiss, they occasionally duck for cover from enemy fire, all at the same army camp (shot at Fort Pickett in Virginia). “M*A*S*H” this is most certainly not; about the best that can be said is that the tanks look real–because they are real. I rented this one from Video Room. “Take the High Ground!” is a sort of G-rated “Full Metal Jacket,” in which a stern but fair drill sergeant (Richard Widmark) grills and then bonds with his Army underlings. The movie (which I watched on a grainy, crackly DVD I ordered off of Robert’s Hard-to-Find Videos) is only notable for another sweet-faced appearance from a young Russ Tamblyn. Brooks reportedly hated “Flame and the Flesh” (1954), since the censors insisted on watering down his version of the French film “Kiss of Fire,” which the Legion of Decency deemed immoral. According to “Tough as Nails,” Lana Turner herself called her decision to take the lead role over co-starring with Clark Gable in “Mogambo” a “big mistake.” And Daniel breaks objectivity momentarily to call it the worst film of Brooks’ career. 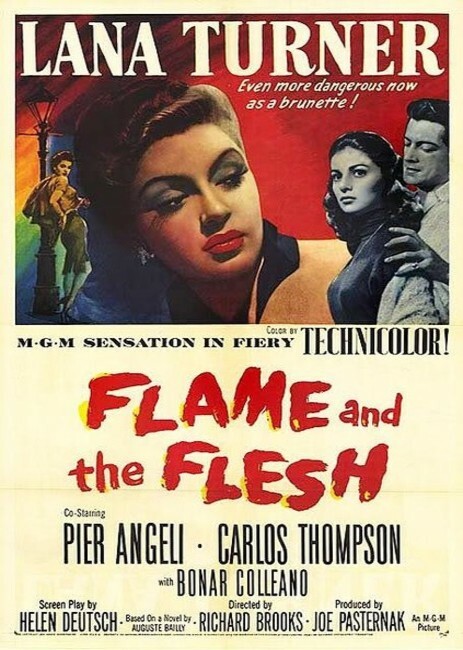 While certainly melodramatic enough to induce queasiness at times, “Flame and the Flesh” has a few guilty pleasures. One of them is the spectacle of watching Carlos Thompson, who is supposed to be a dashing lady-killer, sing dopey Dean Martin lyrics such as “Giddy up, donkey, don’t be slow” in his milky tenor croon, to a crowd of delighted Neapolitans (the film was shot partially on location in Naples). And I got a kick out of the fact that an American romance film in 1954 could get away with a heroine that lusts and cheats and steals; Turner is quite captivating as this bad girl. The male leads are weak and the ending is a cop-out, but I found “Flame and the Flesh” more entertaining than Brooks’ war films. I borrowed a very, very inferior bootleg DVD of the film from Daniel; this one is particularly difficult to find. That said, I enjoyed parts of “The Catered Affair” immensely, particularly Ernest Borgnine’s quiet performance as the silently stewing patriarch of a family in crisis. (He was perhaps irritable because Brooks, according to Daniel, called him a “goddamn thinking actor” when he made just one creative suggestion). His daughter, Debbie Reynolds, is marrying a slightly richer boy, but neither of them want a big wedding. And Borgnine, a cab driver, is saving up to split an automobile with his best friend. But after Davis and Borgnine meet their future son-in-law’s boastful parents–they prattle about their older sons’ lavish wedding parties–Davis grows stubbornly class-conscious and insists on splurging for a large ceremony. Despite the stagey atmosphere, the central conflict is intriguing–a mother, guilty over not lavishing attention on her daughter, finally does so when her daughter least wants or needs it. And Brooks, as in “Cat on a Hot Tin Roof,” is a master at drumming up tension during domestic spat scenes that would otherwise be static; he swerves his camera around the angry, sweaty faces, burrowing into their souls. Brooks later said that the film made him feel “very warm and very good.” Eloquent, I know, but I’d have to concur. Now that a remastered DVD of the film is out, it should certainly be included on Netflix; I rented it from the video store. 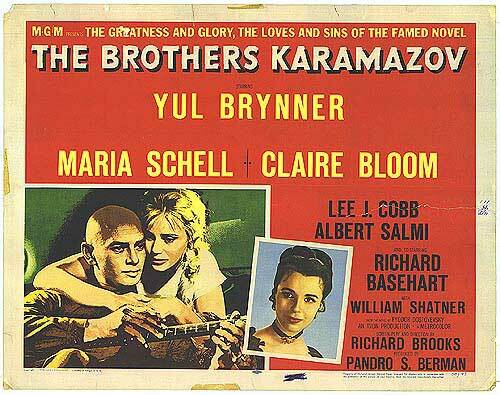 The last film of Brooks’ that is not on Netflix (though it is on DVD) is his 1958 adaptation of “The Brothers Karamazov.” It’s a mess, and you can’t exactly blame Brooks. MGM forced him to shoot on a studio backlot rather than on location (after Russian officials insisted that a second, all-Russian version be shot simultaneously), and the book’s most scintillating religious debates were also excised by MGM. You can’t really blame MGM either, though; could anyone successfully turn Dostoevsky’s sprawling tome into a cohesive two-and-a-half-hour film? What’s left in this Freudian hodgepodge of jealousy, greed, lust and patricide is Yul Brynner’s potent, fierce performance as Dmitri, the eldest Karamazov, who’s most outspoken about his hatred towards his father; Lee Cobb’s boisterous turn as the drunken, cavorting, money-hoarding father; William Shatner in oddly earnest form as the saintly youngest sibling, Alexey; and a battle between Brynner’s romantic conquests, the saintly Claire Bloom and the lascivious Maria Schell. You spend most of the time trying to make sense of the confusion, but it’s a vividly photographed, lively film, certainly not a complete waste. Perhaps because of this loss of clout, Brooks only made two more films after “Goodbar,” the monstrously overstuffed would-be political satire “Wrong is Right” (1982) and “Fever Pitch”; both were done in by the Brooksian mix of wisecracking patter and hysterical earnestness, which were both out of favor cinematically by the 1980s.